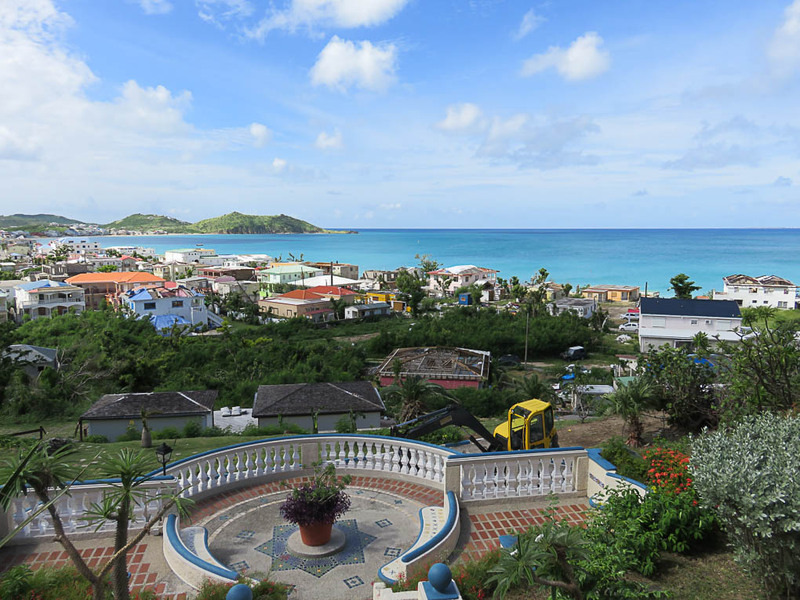 As St. Maarten / St. Martin dusts itself off and moves forward from the devastating blows delivered by Hurricane Irma on September 6th last year, the catchphrase “to help St. Maarten, visit St. Maarten” has caught on. 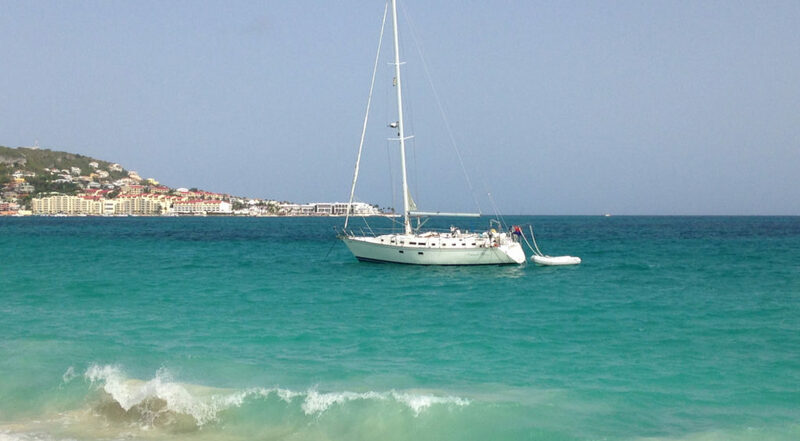 Kerry Biddle-Chadwick reports on the recovery of St. Maarten / St. Martin. 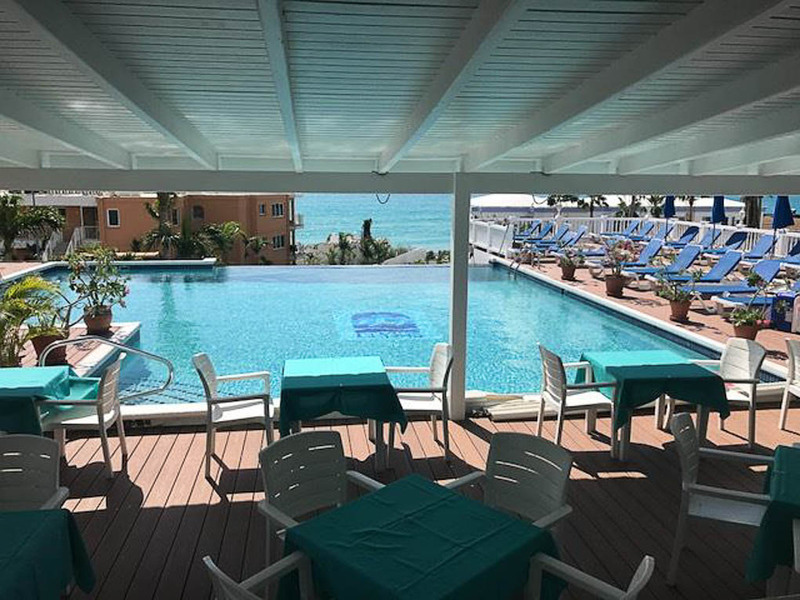 More and more places are opening up for business and more rooms have become available for accommodation, and so more flights are heading to Princess Juliana International Airport. People are coming from all over to help by supporting the local economy and lending a helping hand where it’s needed. Over Christmas, many people sent Christmas presents to those who would be coming to the island to distribute to the children, especially to those who had lost everything and to the children in care homes. The outpouring of love and compassion was overwhelming, and still is as people continue to support those most in need. Longtime visitors are particularly prominent in their help and generosity with both funds and time. In Grand Case, where our Gourmet Capital of the Caribbean was until it was badly damaged, some places are up and running while others wait either for insurance settlements or for the French Collectivité to make a final decision on safety measures for the town. Spiga with their super Italian food with a Caribbean flair and warm atmosphere is open for lunch between 12 – 2 pm and dinner between 6 pm – 10 pm Monday to Saturday. The menu is changed regularly as they get access to more and more quality goods. Check their Facebook page to see what’s on the menu, or if there are any changes. Try their seafood dishes, herb crusted New Zealand lamb chops, or beef agnolotti with shiitake mushrooms, asparagus, and rosemary sauce. Don’t forget to leave room for their famous maple and mascarpone cheesecake with vanilla gelato. There are vegetarian options too. La Villa is open every evening for dinner and also for lunch on Saturdays and Sundays. Closed on Mondays. They will definitely be open for Harmony Night in Grand Case on Tuesday nights. The menu is slightly different depending on what quality produce they can get – same quality, same style, same staff. 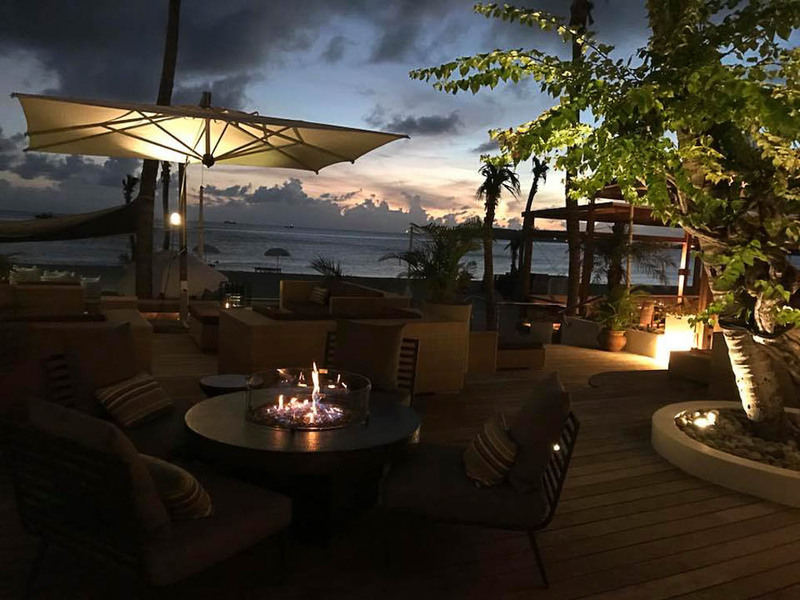 Bistrot Caraibes reopened in December and continue to offer their traditional French cuisine that can be found in any self-respecting restaurant in France. Their lobster thermidor is legendary and is a must-try. Piazza Pascal reopened as soon after the hurricane as possible so that they could serve the large influx of Gendarmes that came to the island to help. They took a well-deserved break over December, but are back and serving up their legendary food. Try their Italian herb encrusted Black Angus filet topped with a honey balsamic vinegar glaze and finish off with one of their desserts like pannacotta with roasted pistachio and caramel sauce. Vegetarian and gluten-free options are available as well. Zen It was almost totally blown out, but the owners have done a monumental job in getting the place cleared out and ready for rebuilding. Blue Martini had its roof ripped off, but the owners are hard at work getting the place back together again. The garden section will probably be opened first with the outside kitchen set up to serve meals. Lolo’s in Grand Case got flattened, except for one food stand – Sky’s the Limit. Since then Cynthia’s and Les Coin Des Amis have been rebuilt and are open. The others will be open very soon. Les Bains next to the Lolo’s opened as soon as they possibly could after the hurricane. The building all but blew away, but they put up a bar with a grill on the foundations and have grown from there. Live music with ice cold drinks and ribs, chicken, and ribeye from the barbeque. Rainbow Café took some significant damage, but while they were restoring their kitchens, they were serving delicious barbeques cooked right there on the beach. They are up and running again and ready for the season. Hotel L’Esplanade, a charming place overlooking the town, is in the process of being repaired and refurbished. The Ti Temple came through undamaged, however, and yoga sessions are in full swing. The reopening is planned for 1st November 2018 and will be posted on Facebook, so keep an eye on their page. Le Petit Hotel will open as early as 1st June 2018, all things going smoothly. Grand Case Beach Club is being rebuilt. The opening will be announced. Hevea Hotel on the main boulevard is open for bed and breakfast. Harmony Night, the Grand Case Mardi, has been organized for a month every Tuesday night starting on the 13th February. Street stalls, food, art galleries, clothes, and befeathered parades are the order of the evening. Marigot is coming to life as people reopen their doors for business. There are a few places open at the Marina Royale and the restaurant at Fort Louis Marina is also open. Arawak restaurant and some of the Lolo’s on the waterfront near the ferry dock are open as well. Many stores, pharmacies, jewelry stores, and others have followed suit. The Ferry is running between St. Martin and Anguilla and can be taken from the ferry dock in Marigot. Remember to bring your passport with you. Golfe Hotel just needed to fix up their pool and some other damage and then they would be open for visitors. Check their website for status updates. Ma Doudou, set in a traditional Creole building in French Cul de Sac, came through unscathed and is open for business. 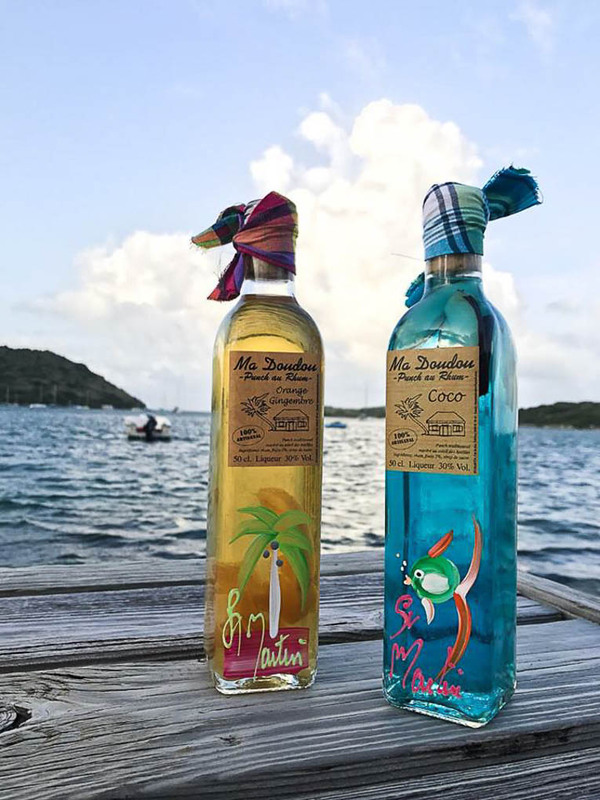 Get your flavored rum in a hand-painted bottle to take home with you to remind you of the island and rum cocktails on the beach. Pinel Island is ready for visitors again. Taitu offers some great local dishes and is open to the cooling breezes. Sol e Luna is open for lunch and dinner. They have some very good dishes with a French flair. Most of the jewelry stores are open and cruise ship passengers throng the streets on the days when the cruise ships are in port. 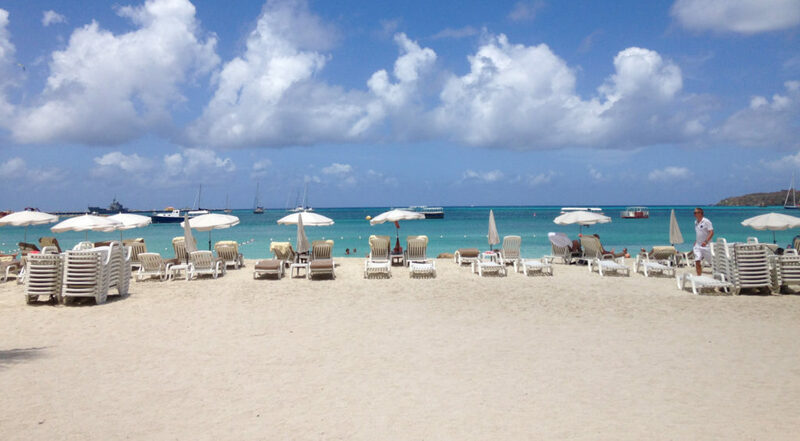 Holland House Beach Hotel is open to all guests and is situated right on the beach. The Ocean Lounge specialities at this time are tuna tataki with sweet candied ginger, wasabi, wakame, and soy sauce followed by a petit filet mignon sautéed in brown butter with a choice of garlic mashed potatoes or French fries, all rounded off nicely with a sweet tiramisu of mascarpone, cream, cacao, Bailey’s, coffee, and hazelnut ice cream. They are open for breakfast, lunch, and dinner. The Passanggrahan Guest House in Front Street got very badly damaged. The main historical building lost its roof and so did one of the older buildings where some of the rooms were. The newer section fared better, but at the moment they are only open to contractors and other business people. The Beach Bar, however, is open with ice cold drinks, cocktails, and Caribbean-style frozen drinks on offer, not to mention the camaraderie. The Sea Palace in Front Street is open to timeshare guests. Check their website for announcements as to when they will be open to all visitors. That Yoda Guy next to the Pasanggrahan Guest House is open and well worth the visit for anyone who is a Star Wars or special effects geek. Guavaberry Emporium has a dizzying array of flavored rums and hot sauces. Set in a quaint traditional house, Guavaberry Emporium is not only steeped in the history of the island, but also in the folklore of guavaberry rum. Great Bay Express high-speed ferry between St. Maarten, St. Barths, and St. Eustatius is operational. They go to St. Barths twice daily, plus three trips on Saturday. The ferry to St. Eustatius operates bi-monthly. Keep a lookout for their Saba trips, which will be coming soon and are planned to run on Mondays, Fridays, and Saturdays. Contact them for bookings or for more information here. IZI Ristorante Italiano has been reopened. Try their delicious pasta and sauces to order. They are now also open for lunch. Jimbo’s Rock and Blues Café reopened five months after Irma damaged their freezers. They are serving up their usual great TexMex style food and are open every Tuesday to Saturday from noon until 10:00 pm, Sundays from 5:00 pm, and closed on Mondays. Happy Hour is from 4:00 to 7:00 pm. Dish D’Lish has added a breakfast and lunch buffet, as well as the usual lunch and dinner menu. The buffet is proving to be very popular and has some very tasty local fare on offer. The Art Box has opened a new gallery at 89a Welfare Road in Colebay after their place on the Boardwalk got badly damaged. They have a much bigger gallery and are showcasing many of the artists on the island. 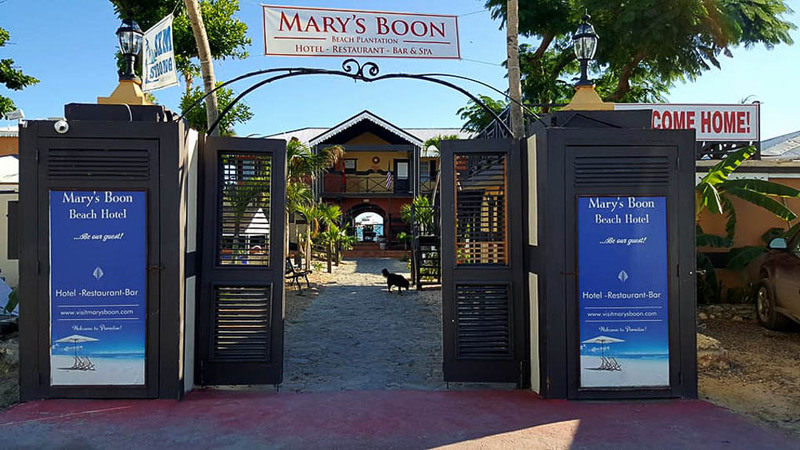 Mary’s Boon has opened some rooms so far, with more opening as they are fixed up. The Boon restaurant and bar is open and under new management. The restaurant is only open for breakfast and lunch at this time. La Vista Resort got extensively damaged, but the beach section fared better. Timeshare owners are getting preference with bookings. 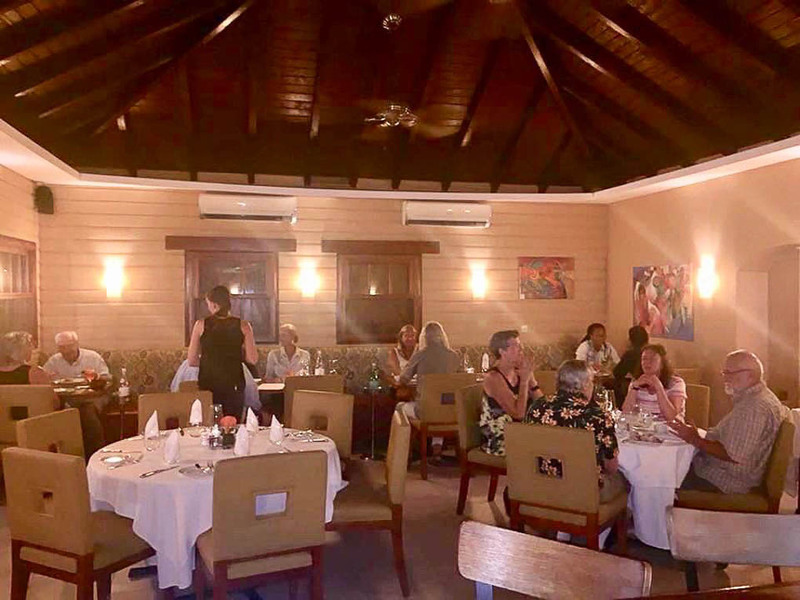 The Hideaway restaurant is open for breakfast and lunch every day except Mondays and Sundays from 8 am to 4 pm and dinner is served on Thursdays and Fridays so far. The dinner menu changes depending on what quality produce is available. Belair Beach Hotel will have the 2nd, 3rd, and 4th floors ready for 17th March. Timeshare guests should contact them to secure their unused 2017 weeks. Belair Fitness Center is open and the pool is undamaged. Oyster Bay Beach Resort lost the roof of the main building and sustained quite a bit of other damage, but are working at opening some of the units by 1st June with the rest opening by December. This, of course, is subject to change depending on the availability of building materials and other issues. The bar and the Infinity Restaurant are open on weekends. Friday from noon until 9:45 pm, and on Saturday and Sunday from 7:30 am to 9:45 pm. L’Oasis is under new management and is open for lunch and dinner. 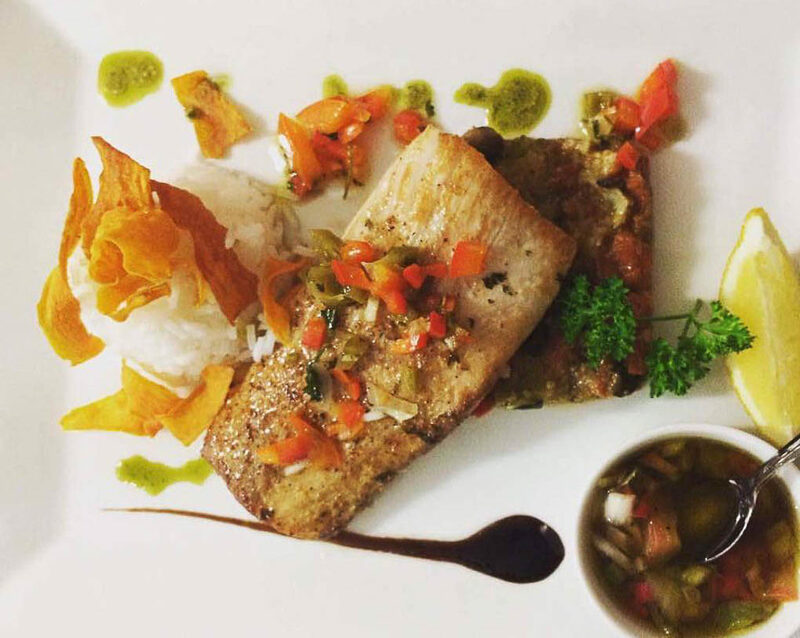 Try their roasted Camembert as a starter, followed by mahi-mahi with Creole sauce, and finish off with a pineapple flambé. The Heineken Regatta will be taking place! 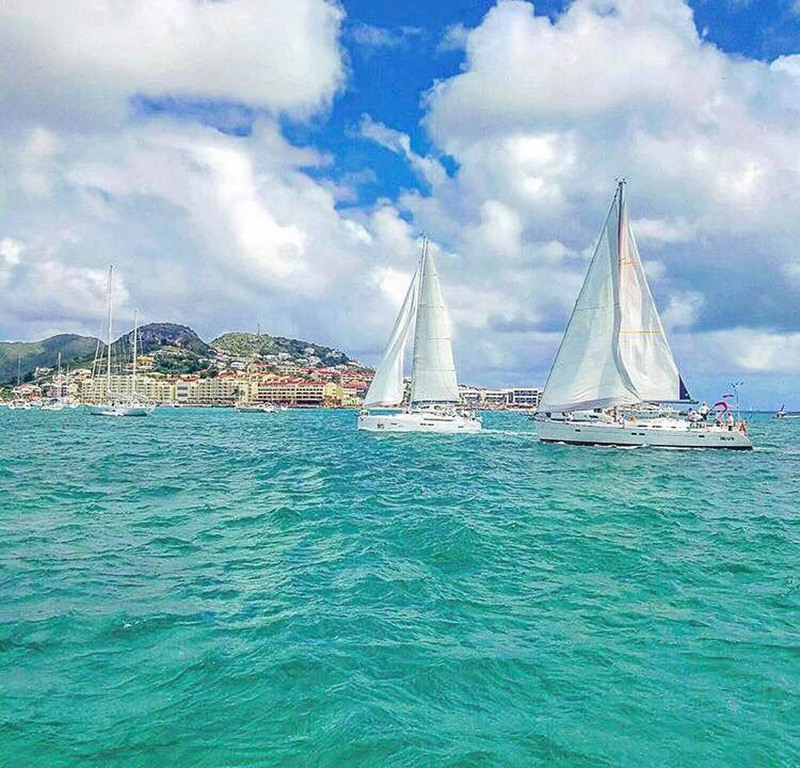 When March swings by the whole island will be abuzz with regatta news and the waters will be adorned with colorful racing machines from all over the planet. 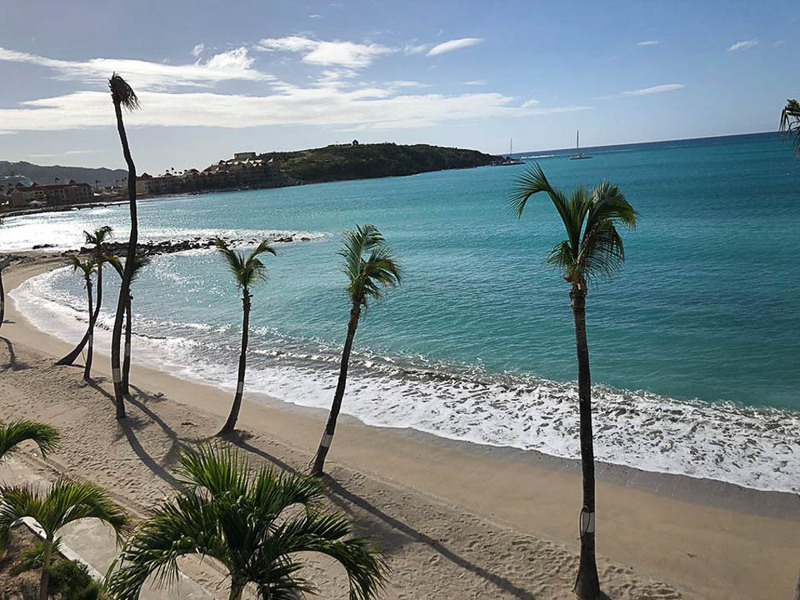 This year they aim to make it a fundraising event for local foundations, including the St. Maarten Nature Foundation that did so very much to clear the beaches and lagoon of debris. Shaggy will be the headliner on Sunday 4th March and Carnival legend Destra Garcia will headline on the 3rd. Racing, parties, and ‘Serious Fun’ are what it’s all about. Princess Port de Plaisance Resort may be closed to guests at this time, but they will certainly be open for the Heineken Regatta. Between the organizers of the Heineken Regatta and the owners of Port de Plaisance, it was agreed to set up a regatta village for the regatta weekend with free dockage for race participants. There will also be food stalls and beer tents set up. Random Wind Charters have purchased Camille, a 52-foot Privilege catamaran, to replace their original classic yacht that fell victim to the fury of Hurricane Irma. They will be ready to take on charters and guests by the end of February. Sunsail is back and has moved to their new base in Fort Louis Marina in Marigot after losing much of their fleet in the hurricane. Live on St. Maarten / St. Martin? 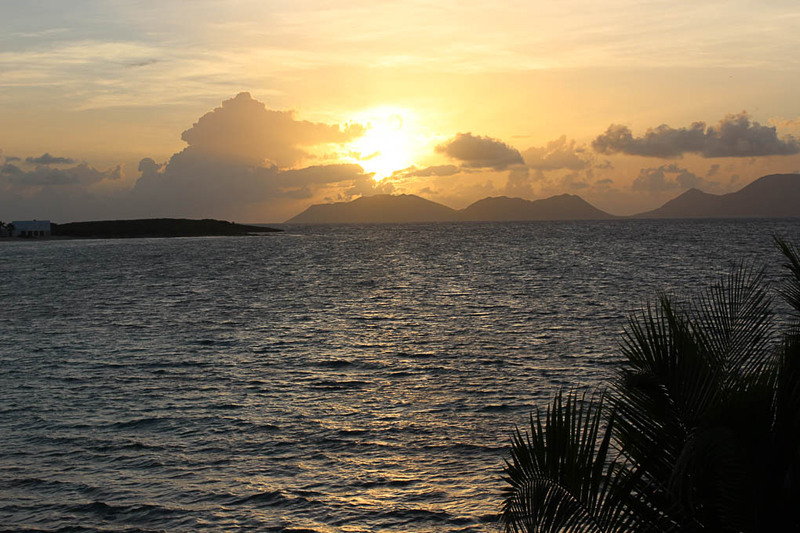 Share your pictures and island updates with us! Send them to hannah@destination-magazines.com or tag us on Facebook, Twitter or Instagram!